Online Travel Agency Affilliations. Priceline Group incl. Priceline. Agoda, Booking, and Kayak. Expedia Inc. incl. 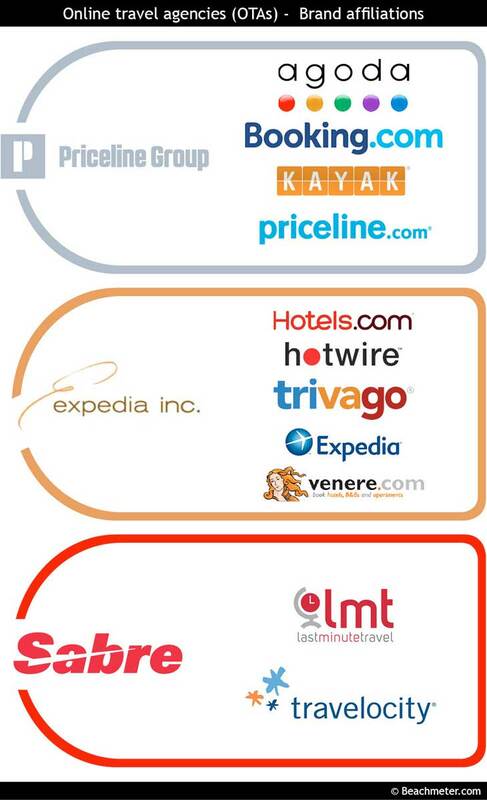 Expedia, Trivago, Hotwire, Venere, and Hotels. Sabre incl. Travelocity and Last Minute Travel. Online hotel bookings. Online hotel booking sites.